Zak was born in Pittsburgh in the United States, to an Egyptian father and American mother. His father El Sayyid Nosair, who began adhering to Islamic extremism around 1988, was involved in both the 1990 assassination of Meir Kahane, founder of the Jewish Defense League, and the 1993 World Trade Center bombing. He is currently serving a life sentence for murder. In 2014, Zak confessed on the TED stage to being the son of a terrorist, drawing the attention of all of America. The theme of his talk at TEDxHimi will be “Passively Active.” While at first glance contradictory, we believe that Zak will speak from his heart to provide meaning to this phrase. With terrorism taking place in all parts of the world, and a present day society where hatred continues to spew hatred, this message resonates far and wide. 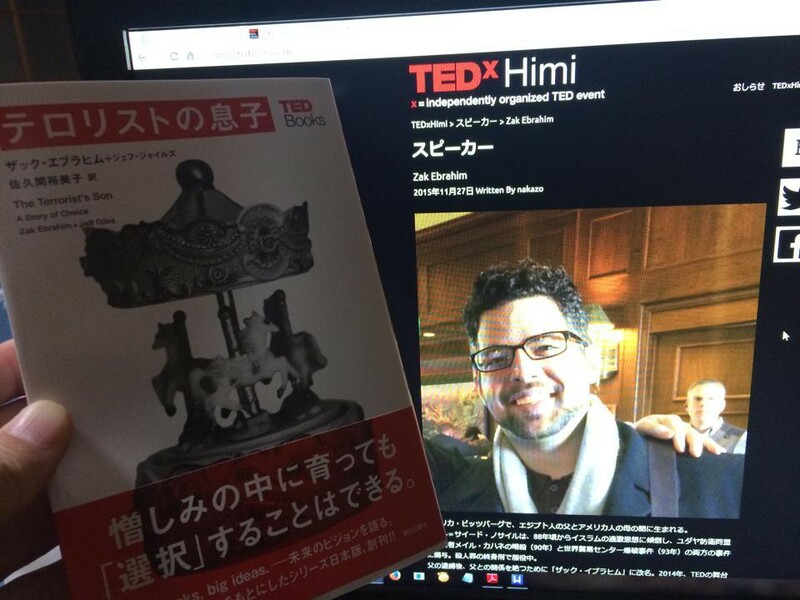 TEDxHimi will be Zak’s first time coming to Japan to speak. Please listen to his story live on our stage.